Like many ideological dictatorships of the twentieth century, North Korea has always considered cinema an indispensible propaganda tool. No other medium penetrated the whole of the population so thoroughly, and no other medium remained so strictly and exclusively under state control. Through movies, the two successive leaders Kim Il Sung and Kim Jong Il propagandized their policies and sought to rally the masses behind them, with great success. This volume chronicles the history of North Korean cinema from its beginnings to today, examining the obstacles the film industry faced as well as the many social problems the films themselves reveal. It provides detailed analyses of major and minor films and explores important developments in the industry within the context of the concurrent social and political atmosphere. 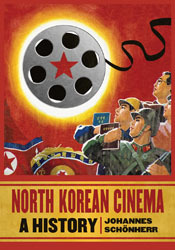 Through the lens of cinema emerges a fresh perspective on the history of North Korean politics, culture, and ideology. Johannes Schonherr is a freelance writer specializing in travel, film and food. He lives in Japan.